It’s a question that’s been posed frequently to those that work for Wilkie Lexus, located at 568 West Lancaster Avenue in Haverford, PA. Customers, neighborhood residents, at least one borough official and even those simply walking by have asked about the year-old grey building facing Lancaster Avenue. It may take a few passes, but one can begin to understand why people ask; for what appears to be a typical street-front commercial building is missing something. You won’t find any, at least not on the front, because the building is actually a state-of-the-art vehicle storage facility for the dealership. The front elevation was intentionally designed by Charles Matsinger Associates to blend into the typical Lancaster Ave. streetscape by using traditional storefront elements in a slightly abstract manner. There are retail windows with awnings with second floor office or apartment style windows above. 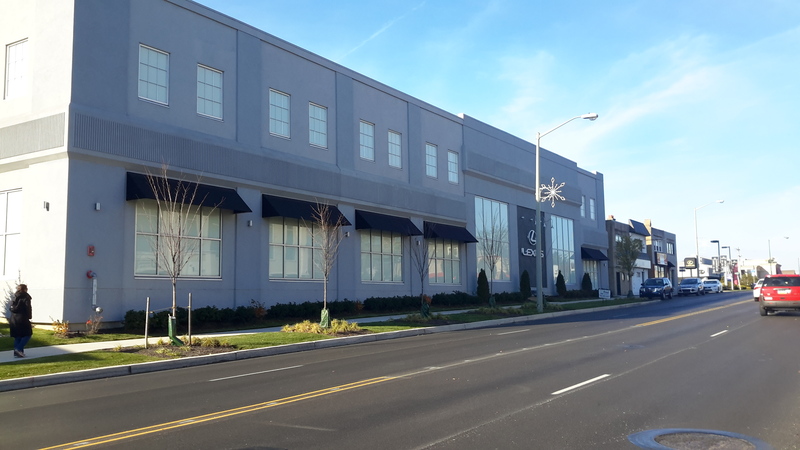 We endeavored to design a storage facility that both met the needs of our client and respected the characteristics and architectural rhythm of the Lower Merion community in which Wilkie Lexus resides. CMA, along with the Engineering and Construction Team carefully coordinated with owners Dan Polett and Scott Lustgarten and the Township of Lower Merion to ensure the success of this project. 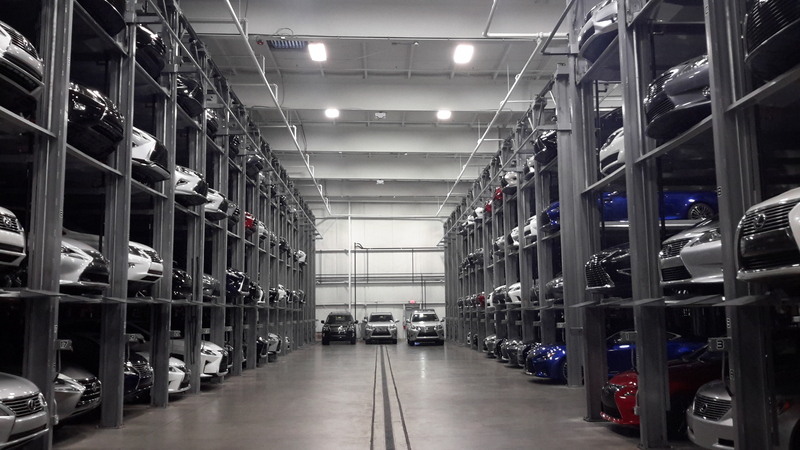 A whopping 300 vehicles can be housed in the facility, with 268 stacked four high and two deep on 67 independent racks. It is reminiscent of a giant-scale Matchbox® car case, which is exactly how Hezekiah Jones refers to “his baby”. Hezekiah is the person responsible for the daily operation of this facility. The racking system is the only one of its kind on the East Coast, so it was up to Hezekiah and his coworkers to create and refine the most efficient method with which to identify, track and maneuver their stock in and out of the facility. He won’t brag, but they’ve cut it to a slim four minutes to retrieve the top back car from a rack. You don’t want to get in the way of this procedure, which resembles a carefully scripted and practiced ballet. Three people are involved as cars are efficiently removed from floor level, the hydraulic lift engaged to drop the next, and so on until the desired vehicle is at floor level. They should sell tickets to watch. my first guess was cars, but you answered that, lol.